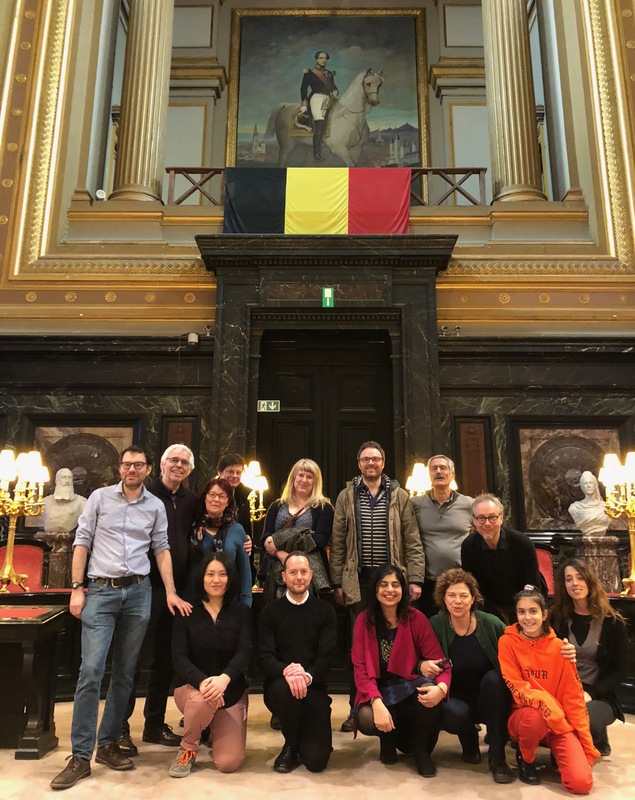 On the 18th and 19th January 2018, Belgian Fellows Frederik Swennen and Emmanuel Berger organized and planned a trip to Brussels. This initiative not only afforded the opportunity to get to know Europe and Brussels better but also their co-Fellows. Here are some impressions of their trip. Frederik Swennen. PhD in Law, University of Antwerp, Belgium. Professor in the Law of Persons & Family Law at the University of Antwerp, Belgium. NIAS Fellow (1 Sept – 31 Jan 2018). Emmanuel Berger. PhD from Université catholique de Louvain/Université Paris, France. Researcher at Universidade Federal da Paraíba, João Pessoa, Brasil. NIAS Fellow (1 Sept – 30 June 2018). Group Photo inside the Palace of Justice. ©NIAS. The Fellows’ trip explored many aspects of Brussels: from chocolate and beer to fashion and history lessons. 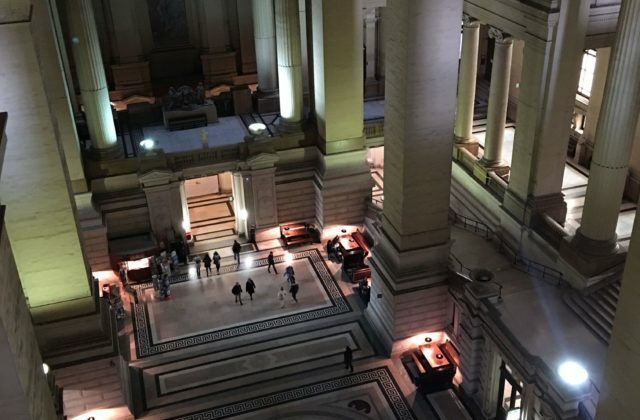 Besides the lovely experience of getting to spend more time with now very dear friends, the Palace of Justice was a real treat (and I got to know things about Belgian history too on top of the architectural lessons). 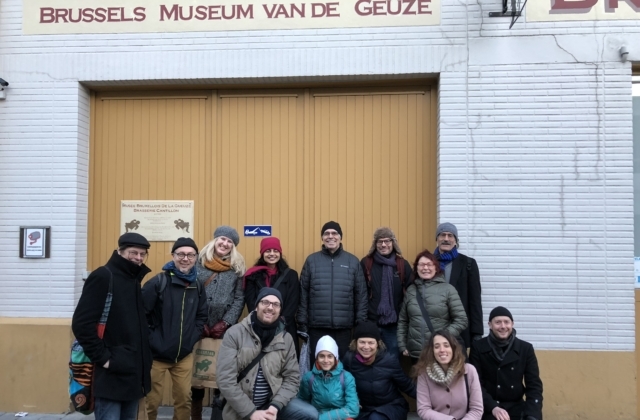 The beer tour was also entertaining and educational, on both beer and politics, as we had a guide with a clear political perspective on beer… Despite having lived in Brussels some years ago, I discovered new things about Belgian cuisine. And I now have plans to make Chicons au gratin as soon as I have an oven. Every part of that trip was fantastic. But the visit to the Palace of Justice where we were given special permission to visit the courtroom of the Supreme Court and the Dome was phenomenal. 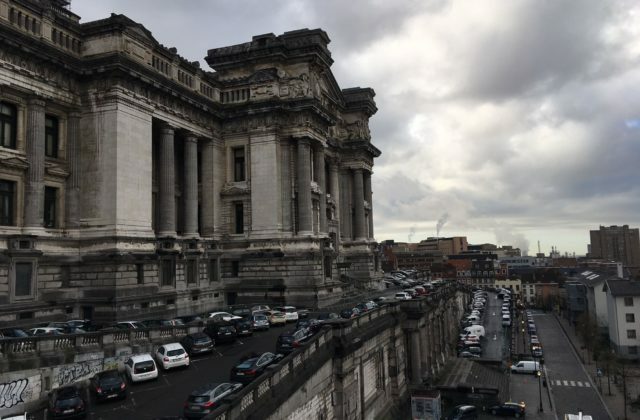 The guide read a description of the Palace of Justice to us from the writer W. G. Sebald’s book “Austerlitz.” The book was on my mind as I remembered the references to Brussels and King Leopold in it. The Palace of Justice is a monumental building—like a city within a city, or a haunting, massive building encompassing many worlds. Visiting the dome was like going into secret worlds within that building — going up one spiral staircase after the other reality seemed to soften. Little by little, different spaces of the dome revealed themselves to us, as did at some level, panoramic views of the city. I will never look at that dome again in the same way. I know I will be (happily) haunted by this visit to the Palace of Justice and its dome forever. 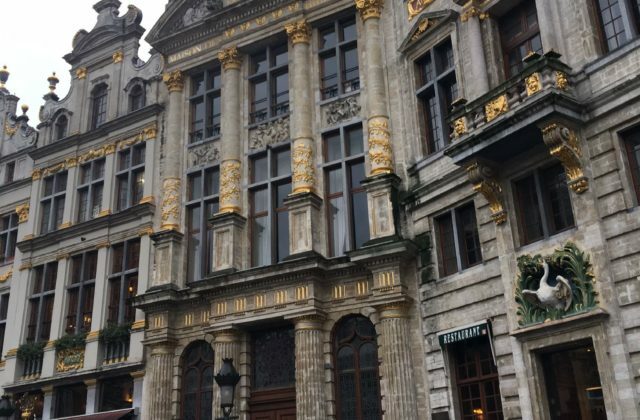 Visiting Brussels from Amsterdam where the scale and decoration of buildings are more restrained, Fellow Preeti Chopra was struck by the monumentality of buildings and the abundance of gold on building facades. ©NIAS.